With the development of bullet-proof industry, bullet-proof products emerge in an endless stream. With basic protection standards met, people began to shift their focus to the improvement of portability, comfort, energy saving, etc. Recently, American scientists have developed a new kind of bulletproof vests, solar bulletproof vests, which can use solar energy to prevent bullets. It is the latest achievement of nanotechnology application. 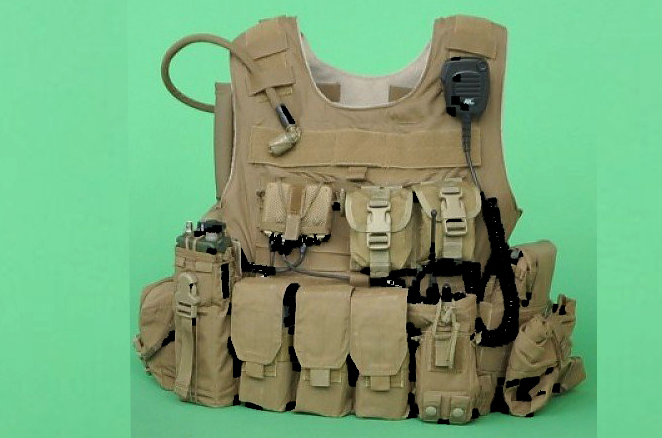 It is understood that this kind of body armor is made of new materials. This material is as soft as thin paper, with lightweight, small thickness, and strong plasticity. It is made of nanowires of germanium, silicon and other fibers. These nanowires can be woven into traditional fabrics or wrapped around some of the rigid supporters, to achieve a great bulletproof function as Kevlar. According to Brian, the inventor of this new type of bulletproof vests, the paper we usually use is made of wood fibers, but the "thin paper" material of this vest is made of nanowires which is made by compressing nanowires converted from semiconductor modules such as germanium and silicon. Scientists have developed a silicon nanowires, a thin paper-like fiber. This fiber can convert more sunlight into electricity. Single silicon nanowires are 35 percent harder than germanium nanowires, and more corrosion-resistant. In this way, the germanium-silicon nanowire fabric inside the vest and the germanium-silicon nanowire around the hard plastic will simultaneously convert solar energy into electric energy, thus driving the sensors inside the vest and some other electrical equipment, which can play a better bullet-proof role.